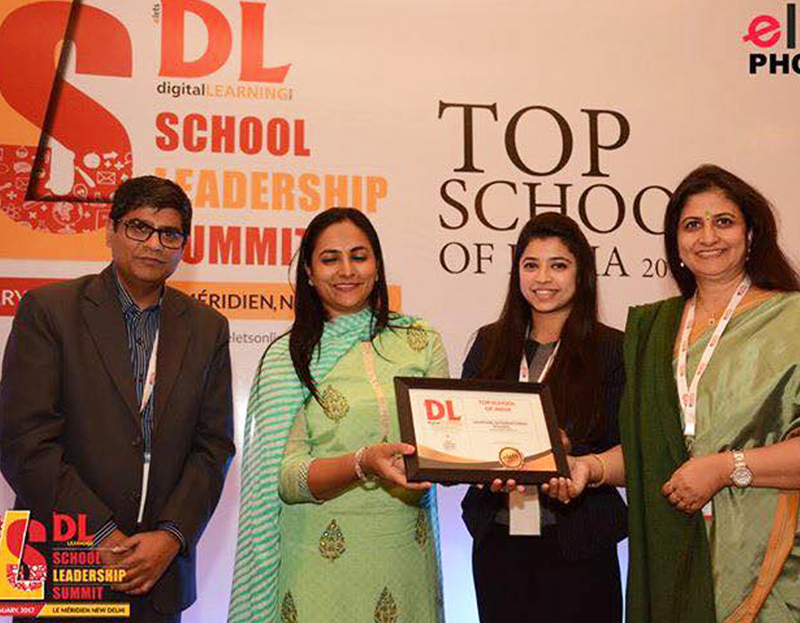 Sapphire International School was awarded with the "Top School of India" award by the Digital Learning at the School Leadership Summit held on 21st January, 2017 at Le Meriden Hotel, New Delhi. 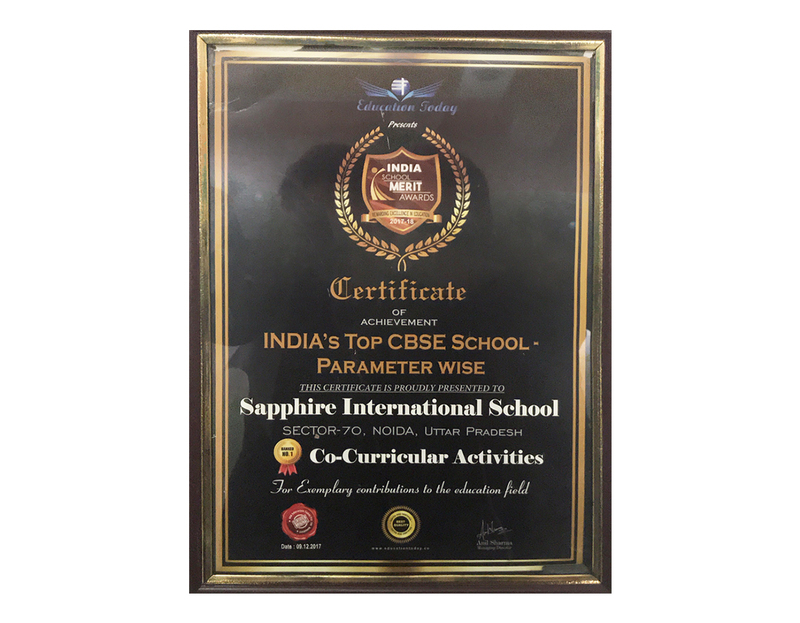 We would like to thank Sapphire for nurturing our children in such a brilliant manner. 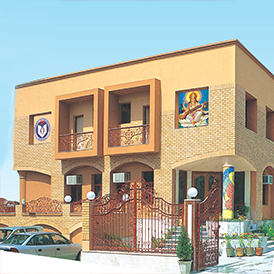 The way School provides various platforms to children for all round development is commendable. 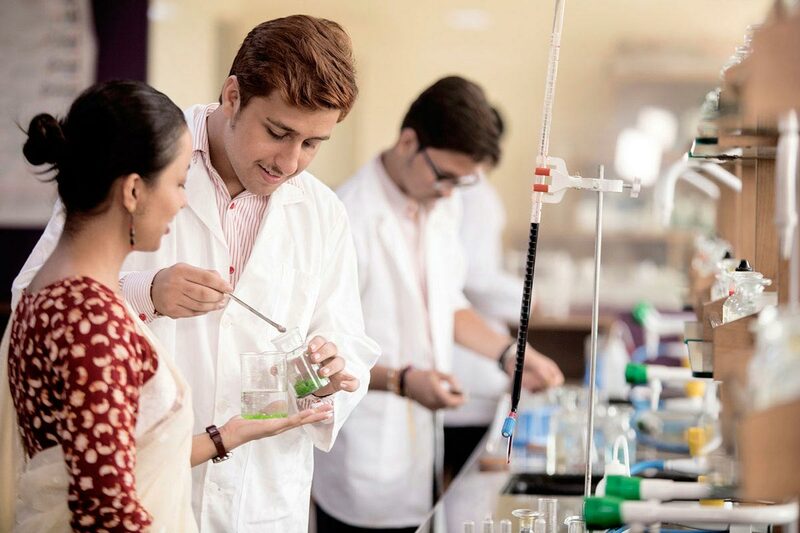 One of the biggest strengths of Sapphire is how they so effectively strike a balance between academic and non-academic activities and provide plenty of opportunities to students. 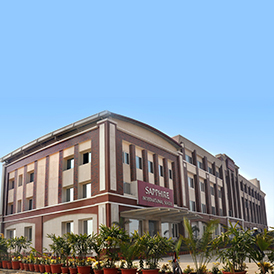 The biggest strength of Sapphire is its staff - teachers as well as support staff. We can't thank teachers enough on how they are preparing our children to face the world, mentoring them to become a much better individual and provide such a healthy environment at school. 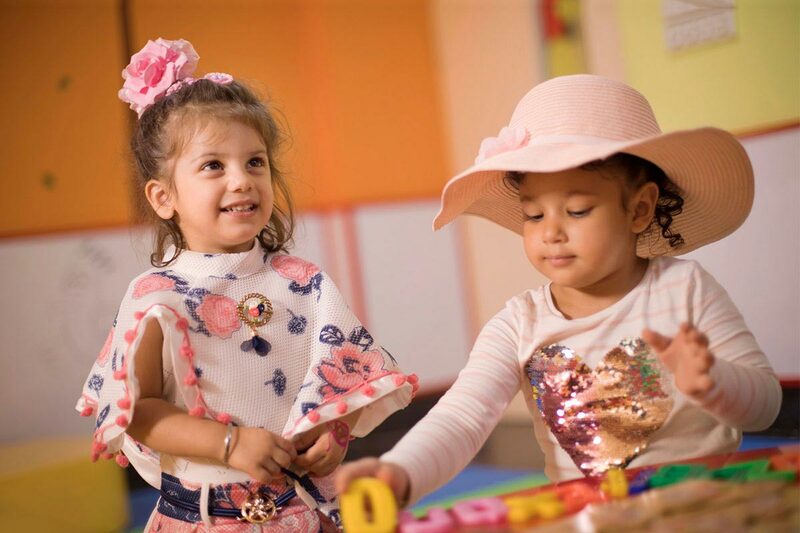 All the teachers are very competent and very magnanimous - always ready to listen to us and work with us to make sure whatever is beneficial for kids is planned and implemented. Same goes for support staff - always smiling, helpful, courteous, caring and loving. 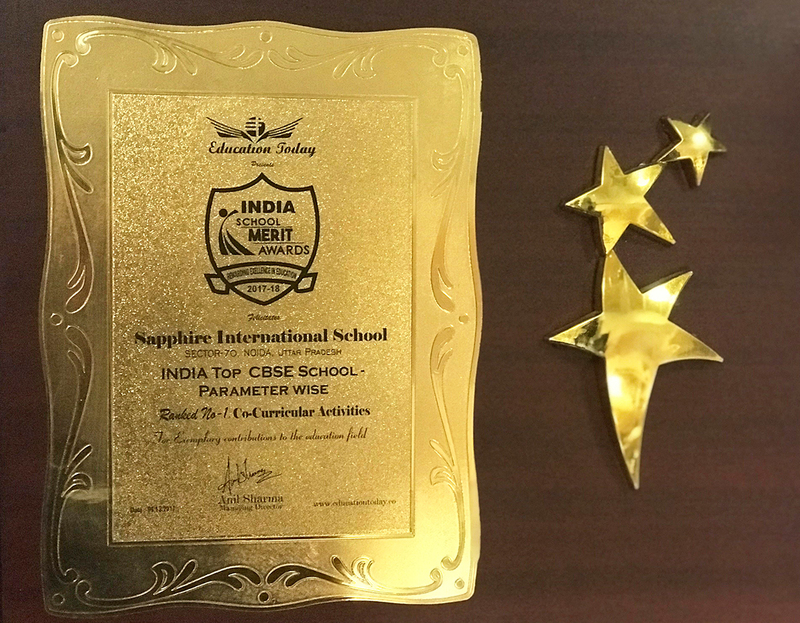 Congratulations and thank you Sapphire for being such a wonderful Institution and striving to make our kids stars. My daughter Aadya is studying in Grade II and it has been her third year in the School. We are truly amazed at the way she is developing at the School under the benign influence of marvellous teachers. 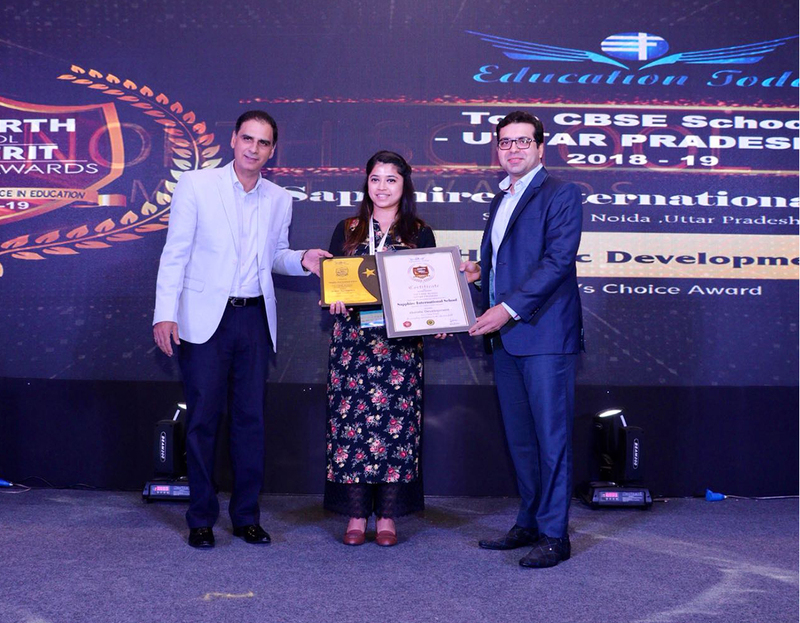 When she joined Sapphire, she was an uncut unpolished stone and with the passing of each day she is transforming into a diamond and for that we give all our grateful thanks and applauds to gem of teachers Sapphire has in its kitty. 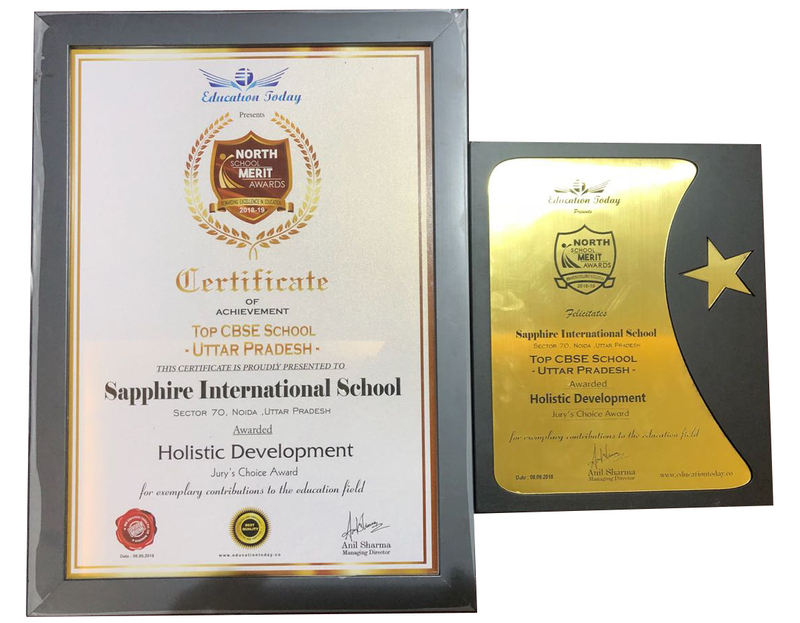 Sapphire's slogan "Every Child is a Leader" is not only an inscription but a truth - be it Studies, Dance, Music, Swimming and other co-curricular activities, they have so much to offer that our daughter never wants to miss her School even for a day. We are so happy with her all round development that we are going to get our second child admitted to Sapphire. Please keep up the good work-Sapphire is truly precious. 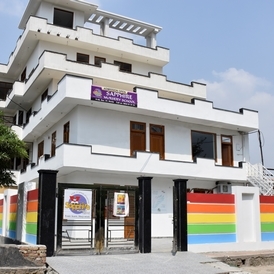 The atmosphere and methodology at sapphire has always kept us as parents very content. 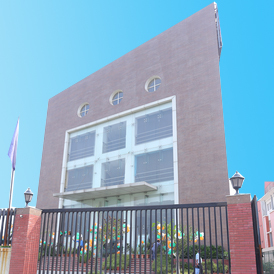 The friendly atmosphere at School has made my child more open and interested in learning. Extremely satisfied with the curriculum and learning approach/ methodology and also the overall attitude towards children. 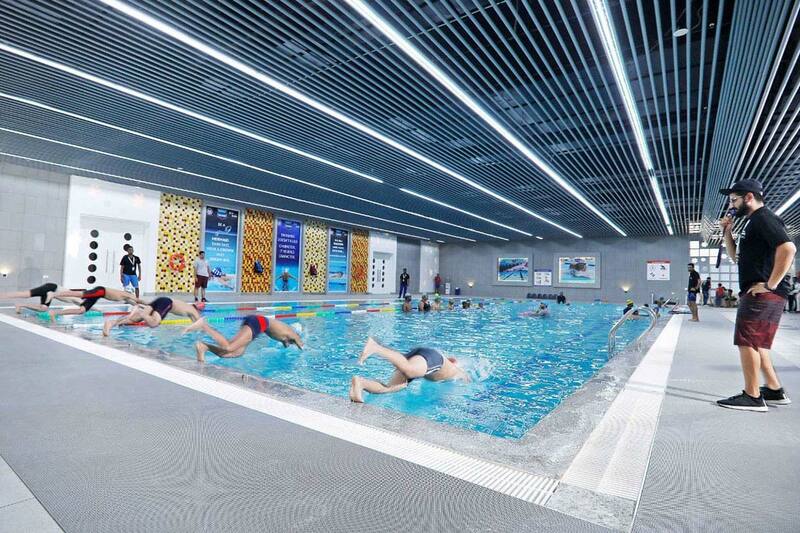 The School should however work upon their infrastructure to provide the extra support and exposure that a child needs in the competitive world today. I'm very pleased with Sapphire. My child loves to go there. Even in summer vacations she's asking me to go to School every day. Every teacher and every helper knows the name of each student. They give a personal touch to every child. The teacher is very responsive and she gives a motherly care to the children and is stern where necessary. I'm very satisfied with the School. 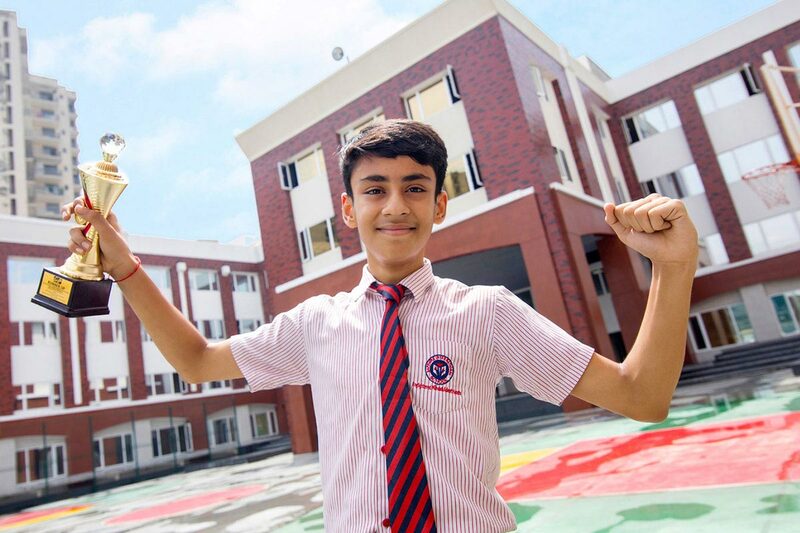 After just a few weeks at Sapphire International School, each morning our son wakes up saying, 'Mamma, let's go to School', with a huge smile on his face. The support of the teachers coupled with individual attention to the students has been outstanding. 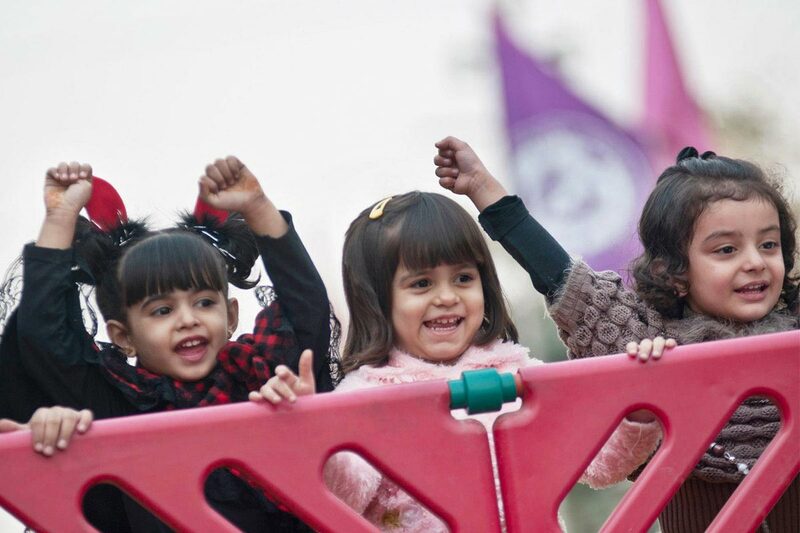 Moreover, they help each student in adapting to the new environment, as well as in trying new things at his own pace. I believe it is the combination of School and kids that has worked so well in making my son grow his confidence, positive attitude and enthusiasm.